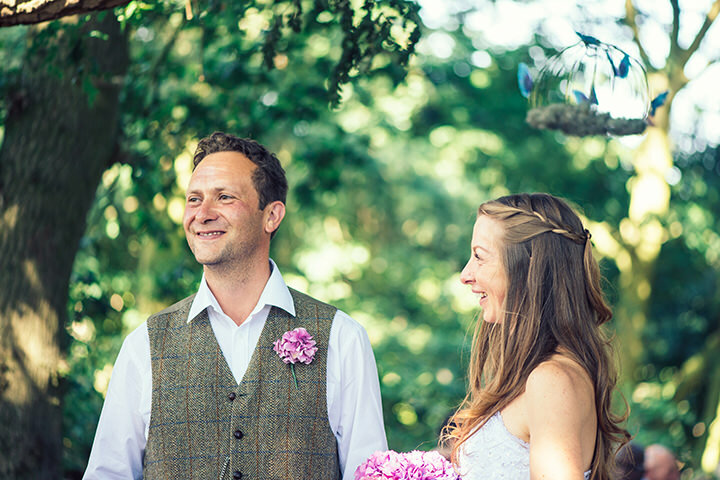 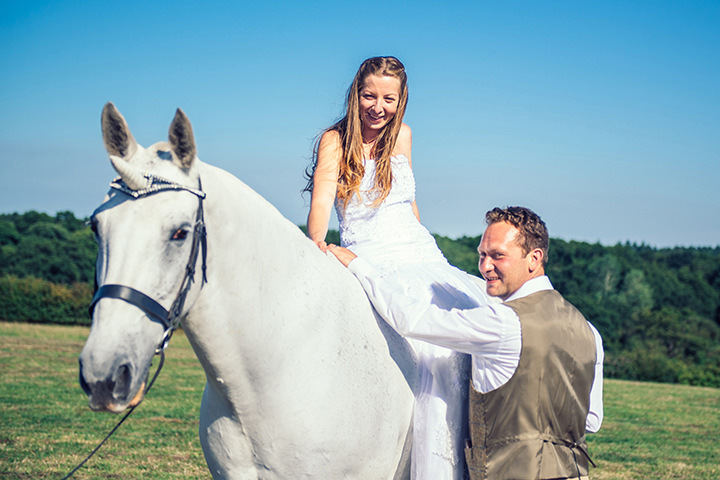 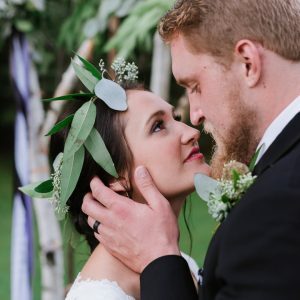 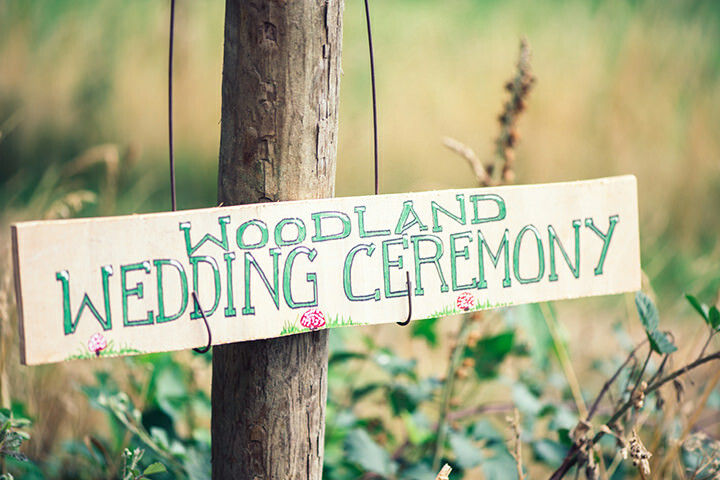 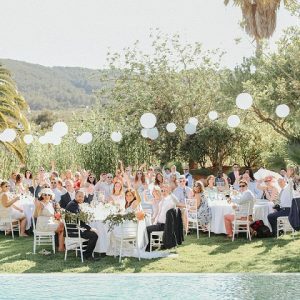 Todays wedding is a day full of wonder, where Beth and Carl, the bride and groom transport you to a wonderful woodland world where unions, fairies and flying butterflies live amongst the humans. 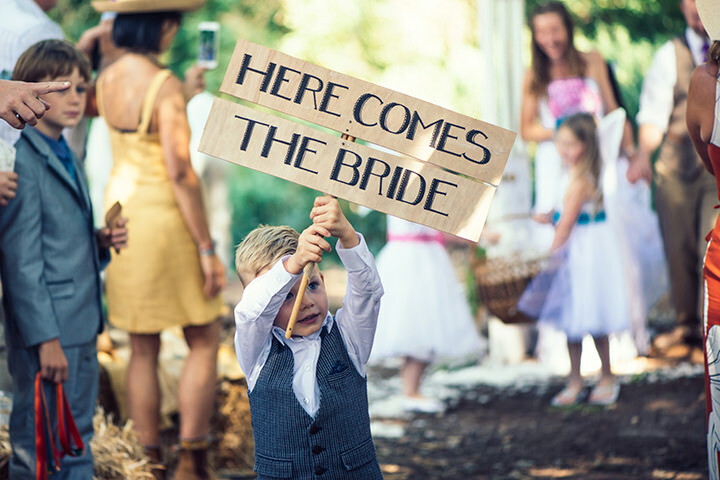 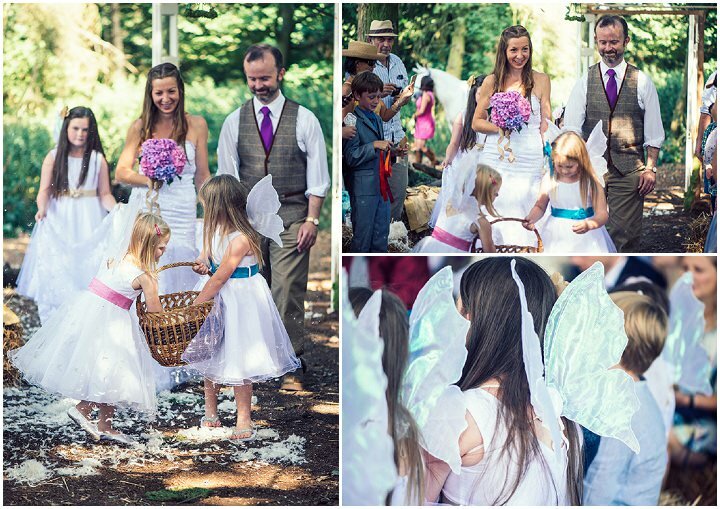 A beautiful whimsical day full of charm, innocence and a whole heap of love. 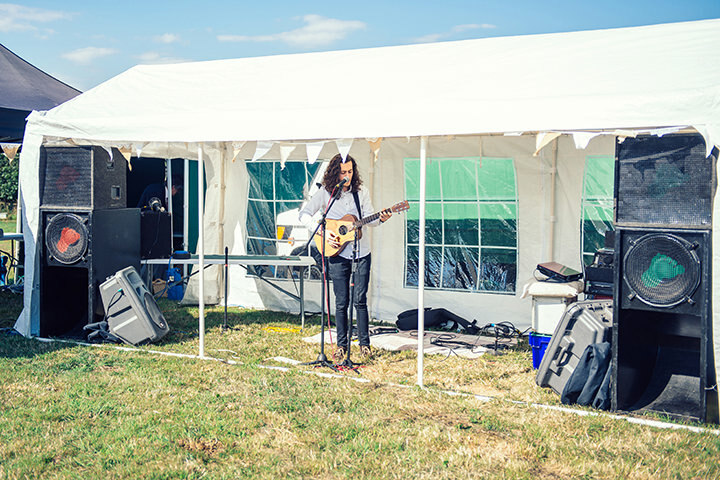 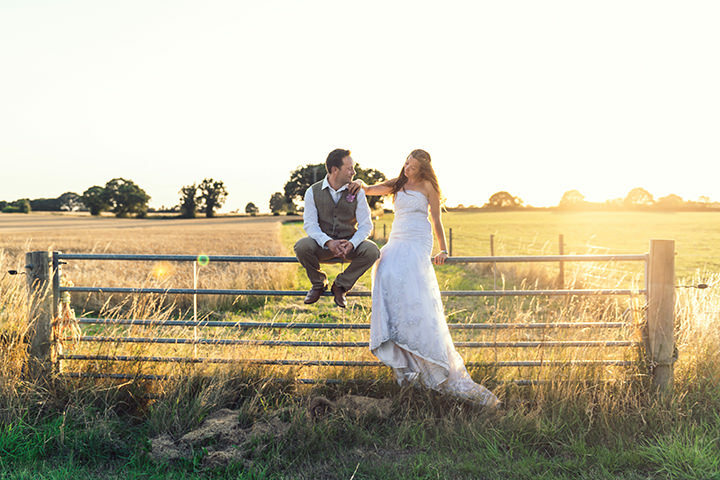 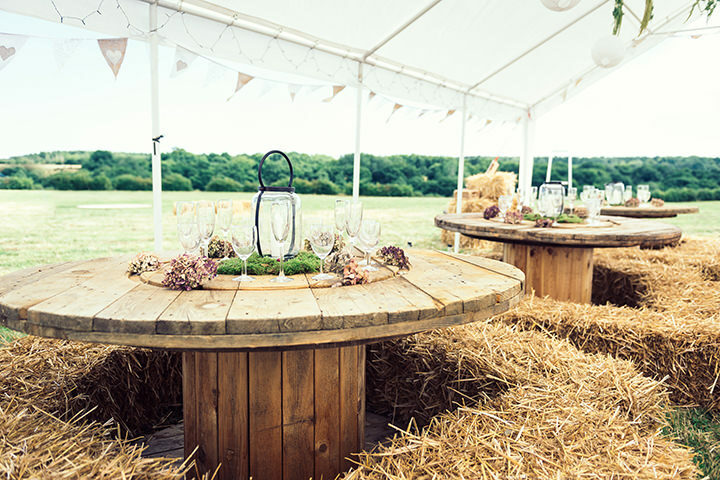 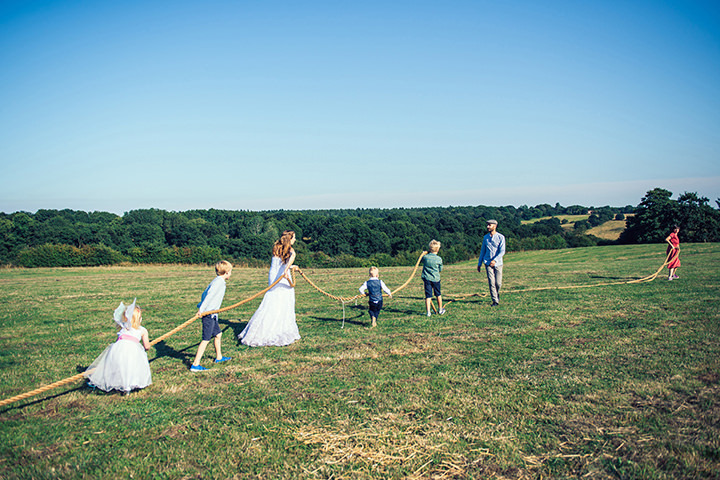 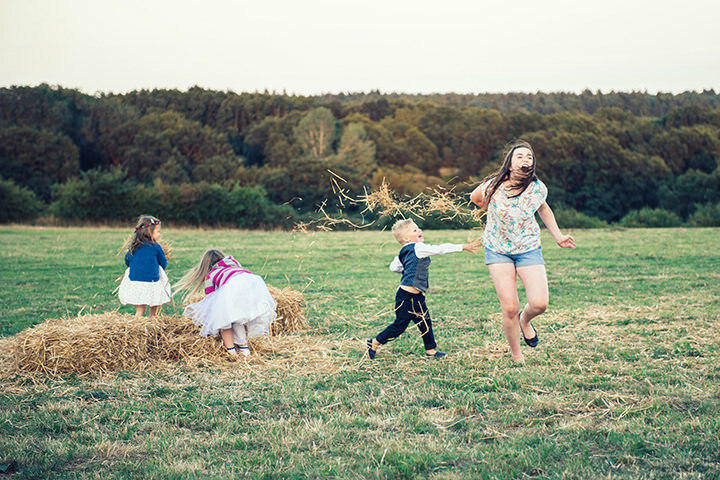 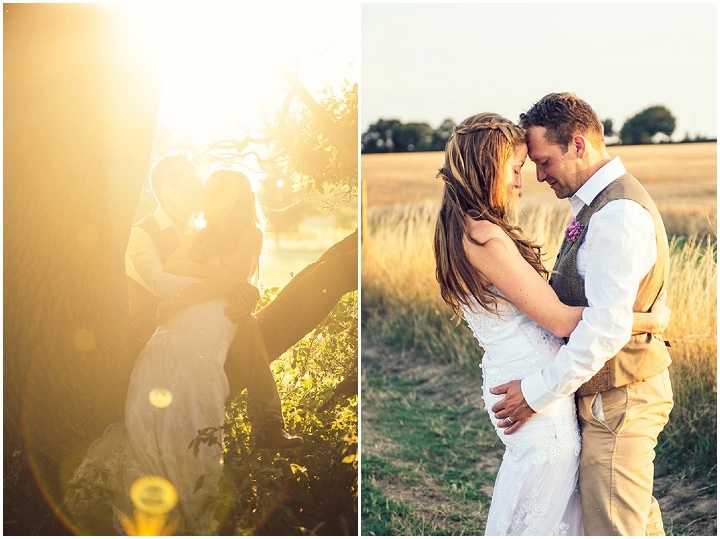 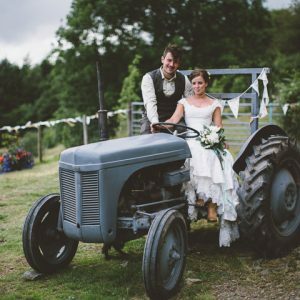 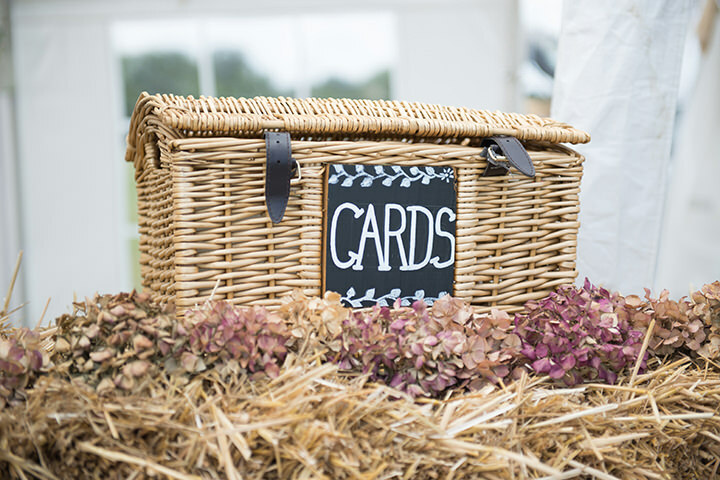 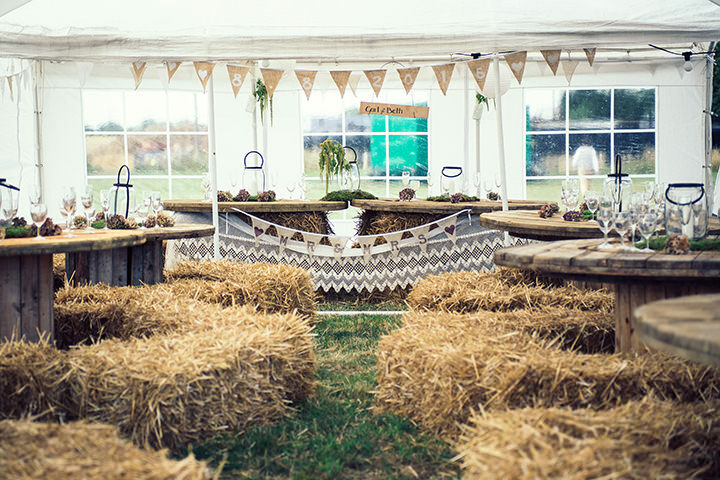 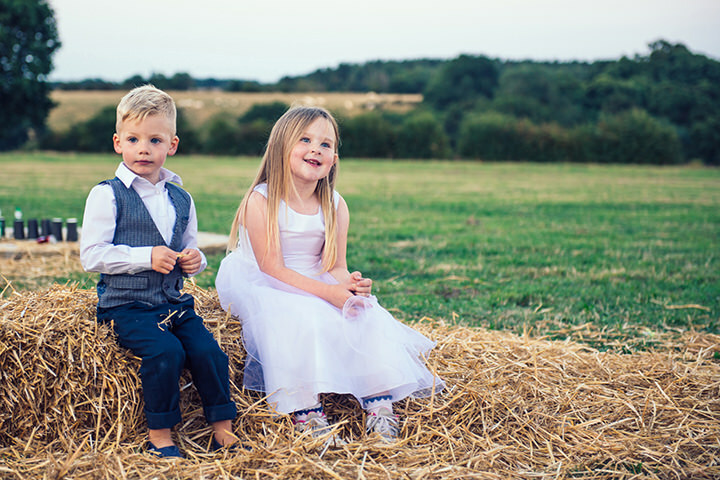 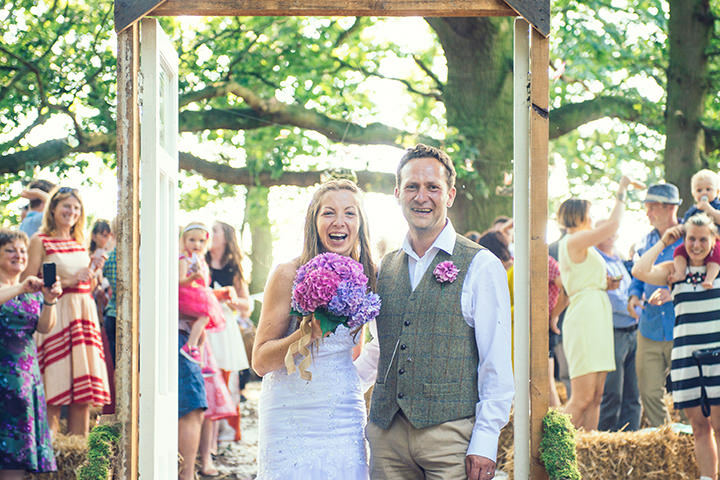 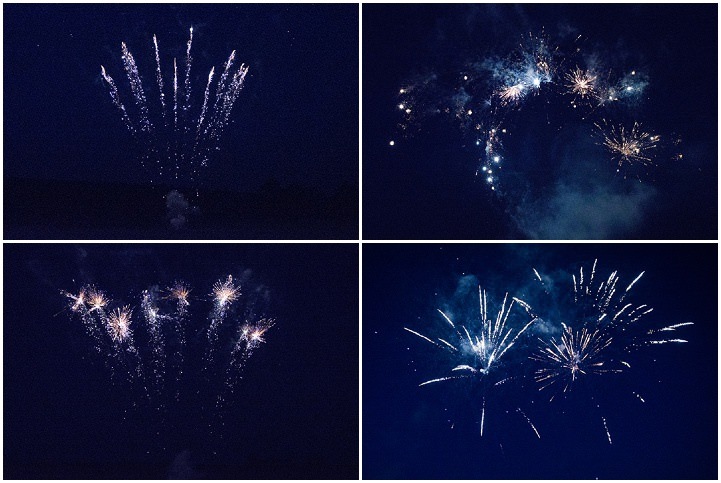 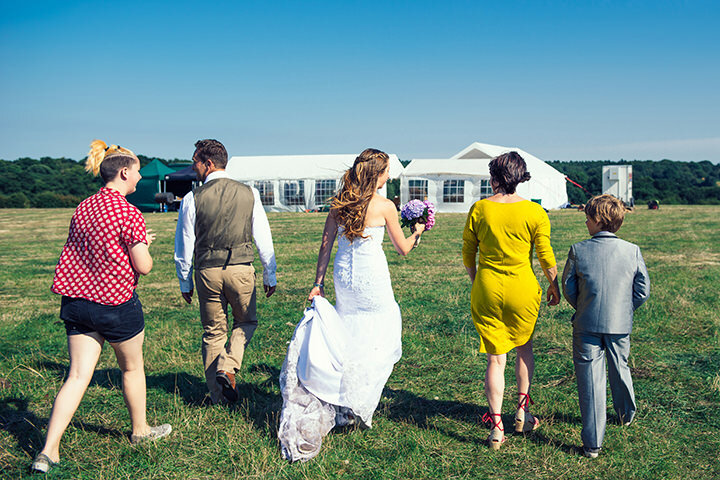 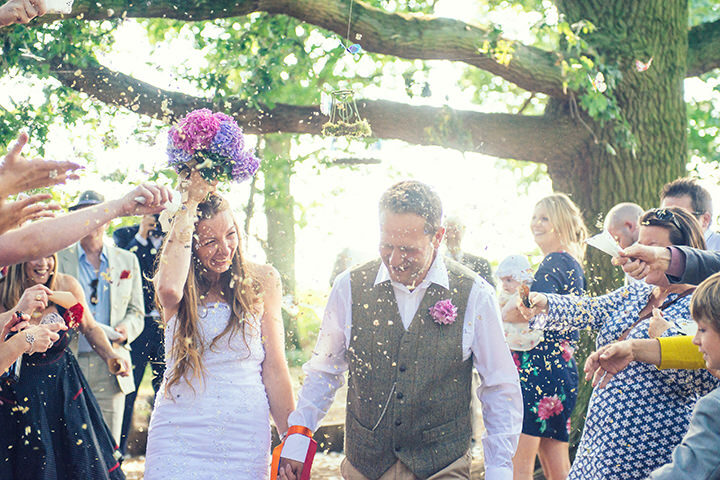 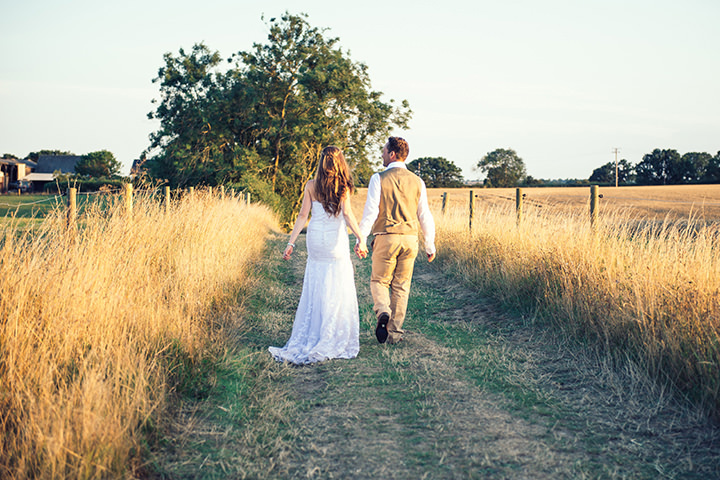 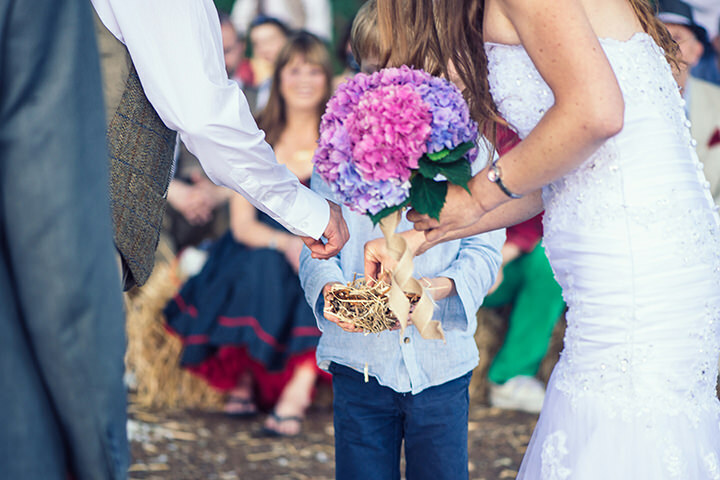 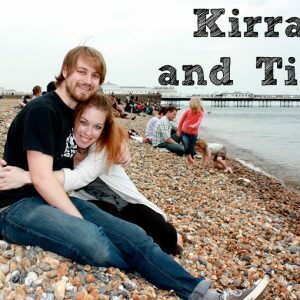 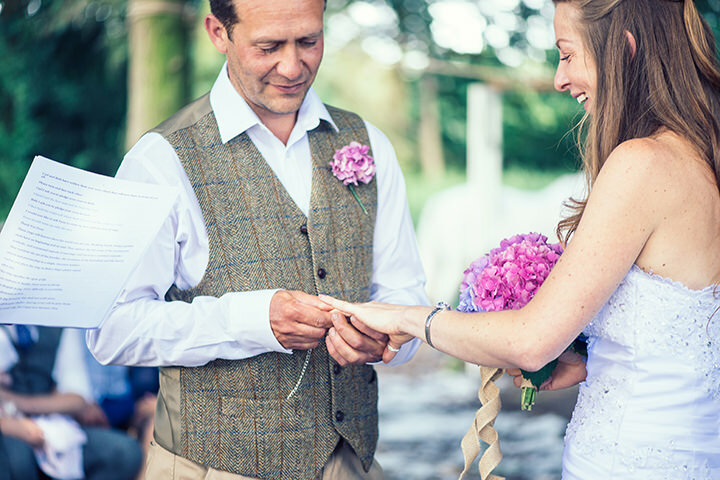 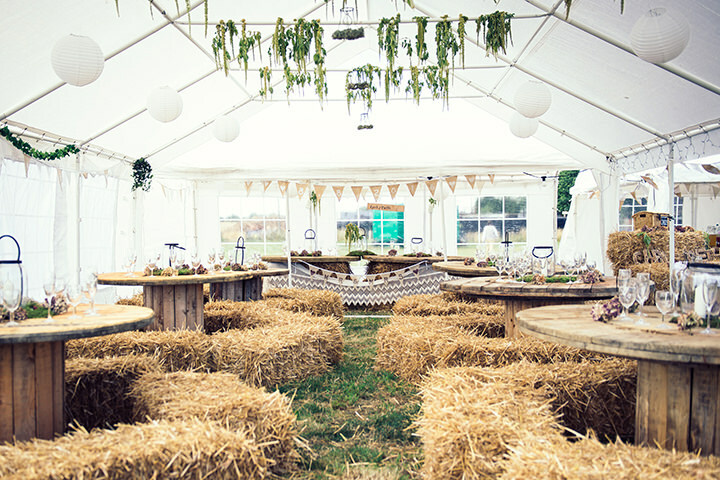 A wedding full of sunshine, great food, hay bales, fireworks and lots of laughter. 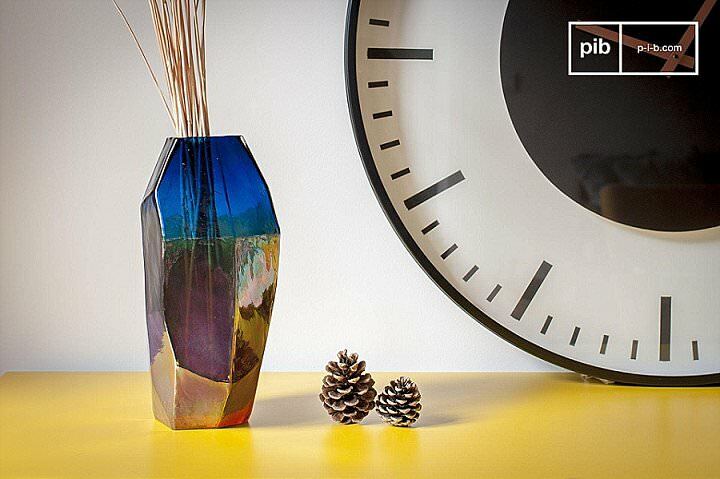 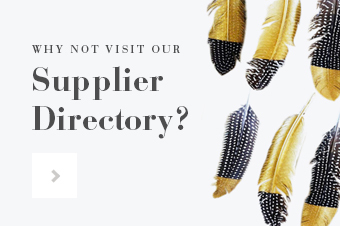 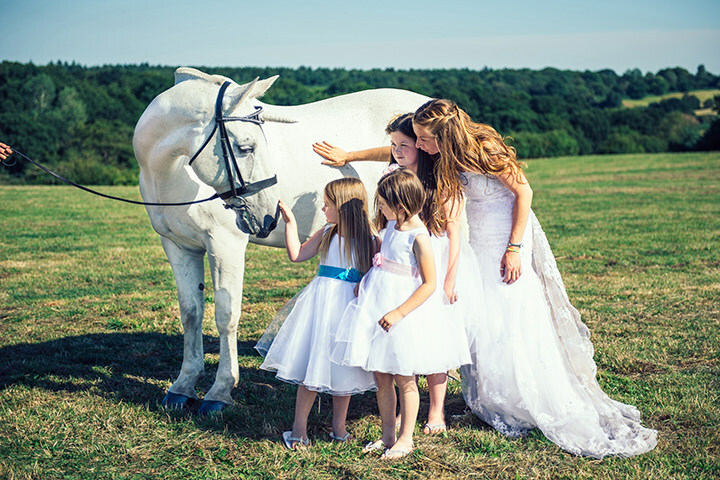 Big thanks to Kelsie Low Photoraphy for the magical images. 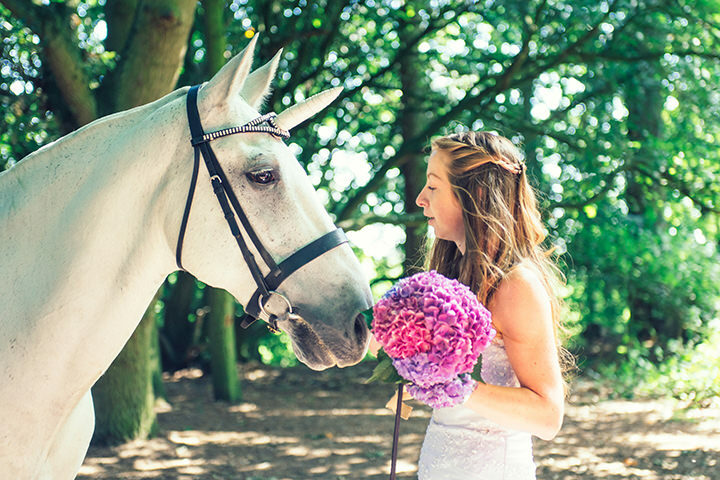 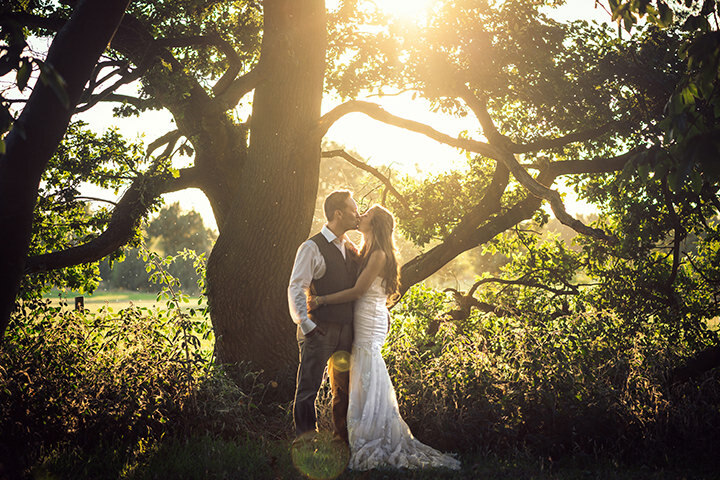 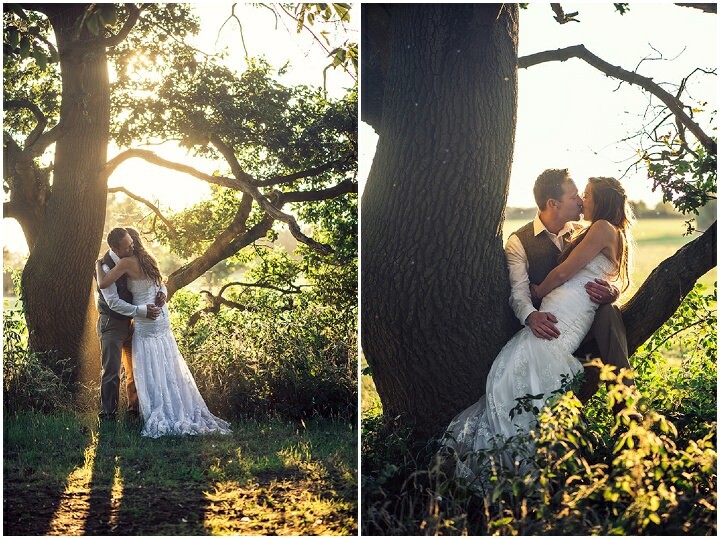 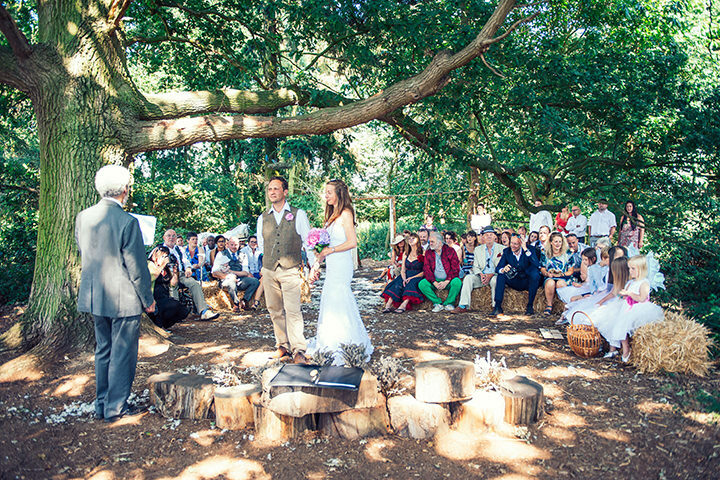 This stunning woodland for Carl and Beth, was definitely one to remember. 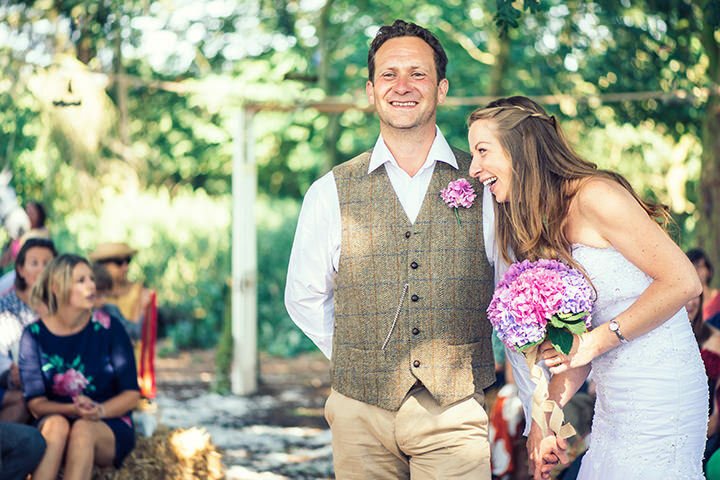 With such unique, vintage and artistic features, this Suffolk wedding offered something new to see in every direction. 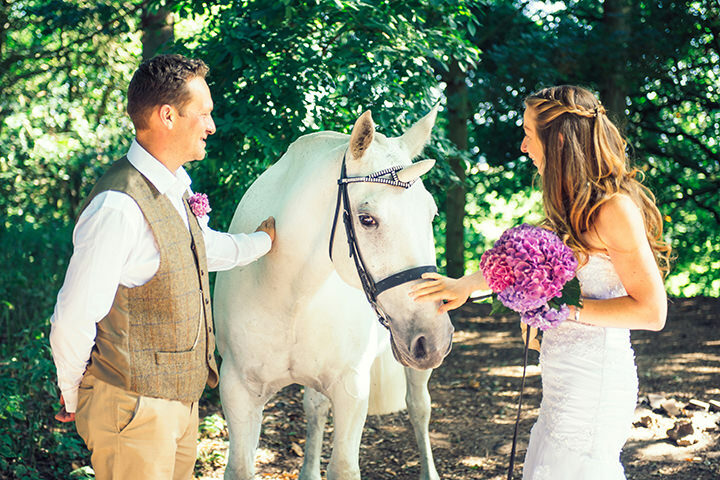 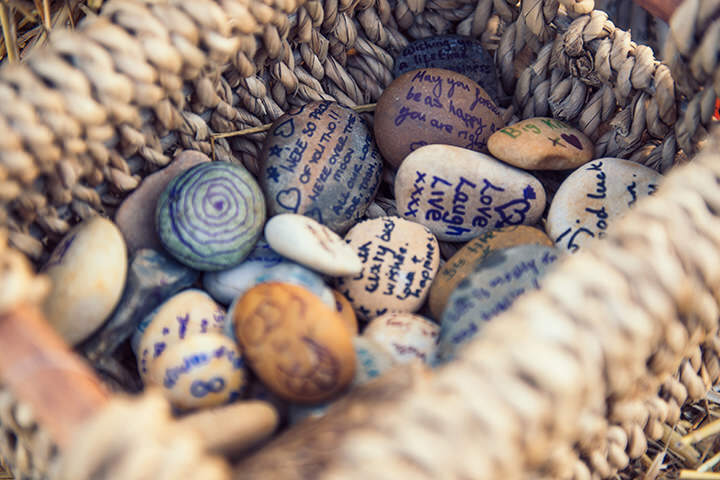 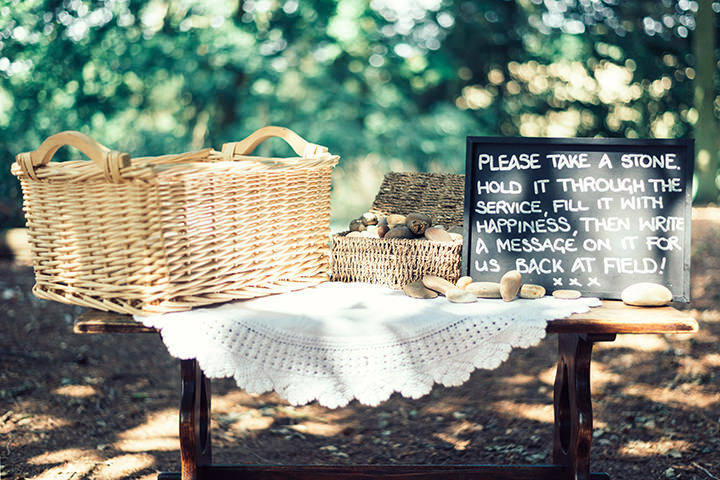 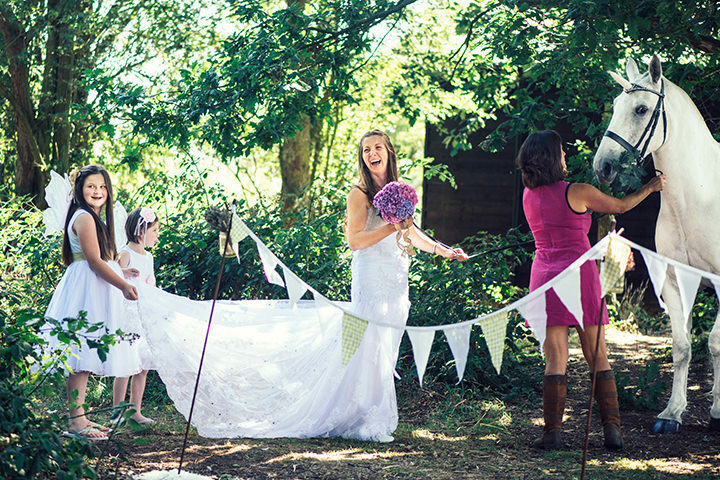 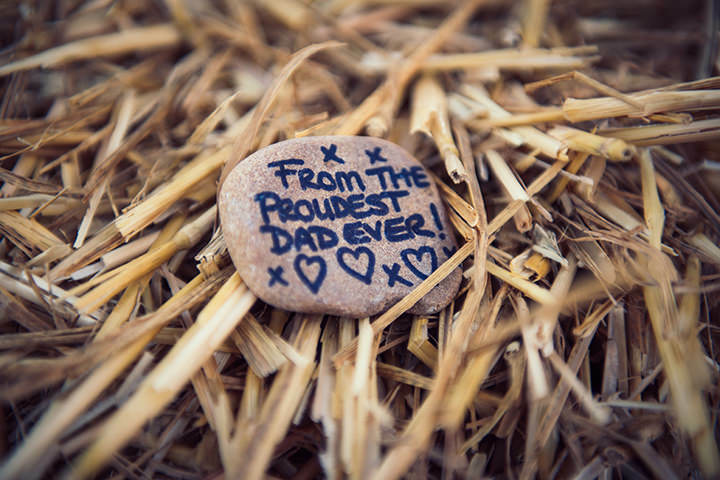 From flying butterflies, straw-bale seats, mushroom table accessories, a unicorn and bunting to fairy flower girls, feather confetti, message pebbles and fireworks, so much thought was put into the wedding of Carl & Beth and this made the day so incredibly special. 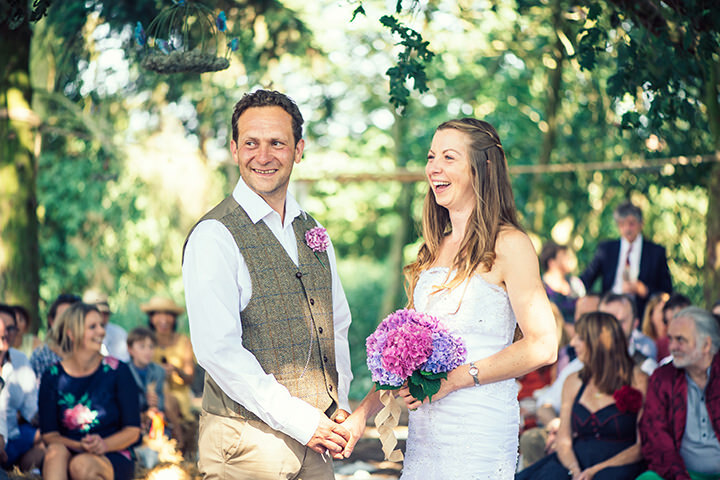 Carl is an amazing chef and actually produced the food for his own wedding day! 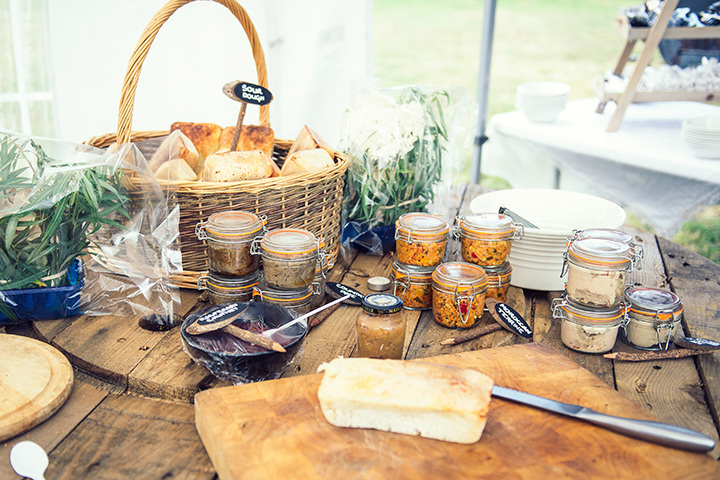 This included a delicious array of chutneys and terrines, hand-foraged mushrooms and fresh salad, as well as sweet cocktails and fruity beverages. 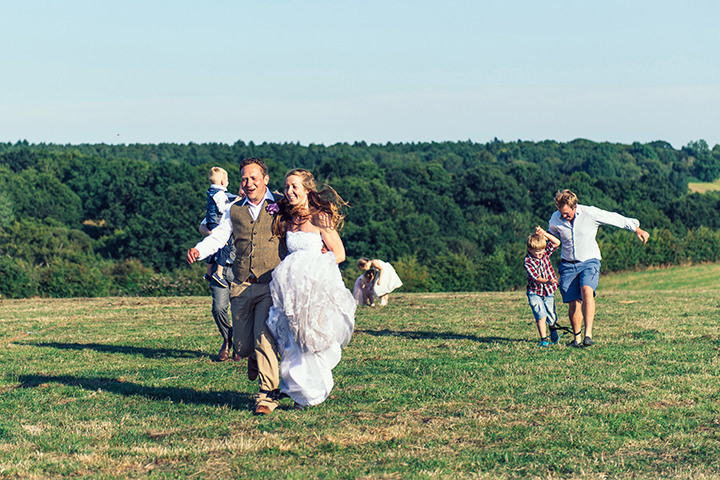 Photographically, a wedding doesn’t get much better than this. 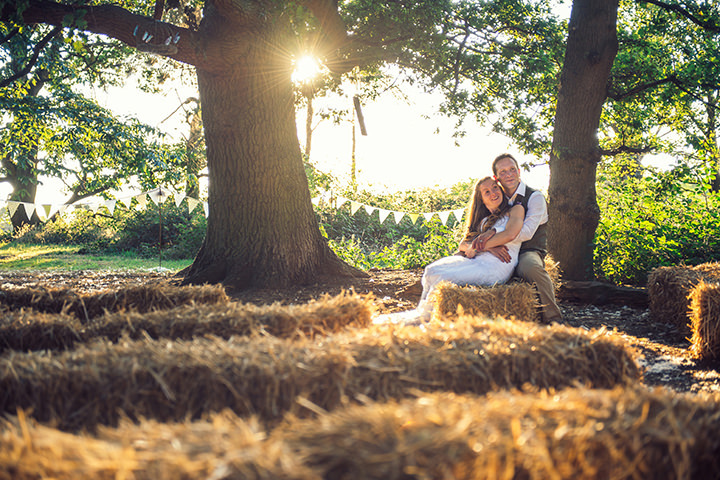 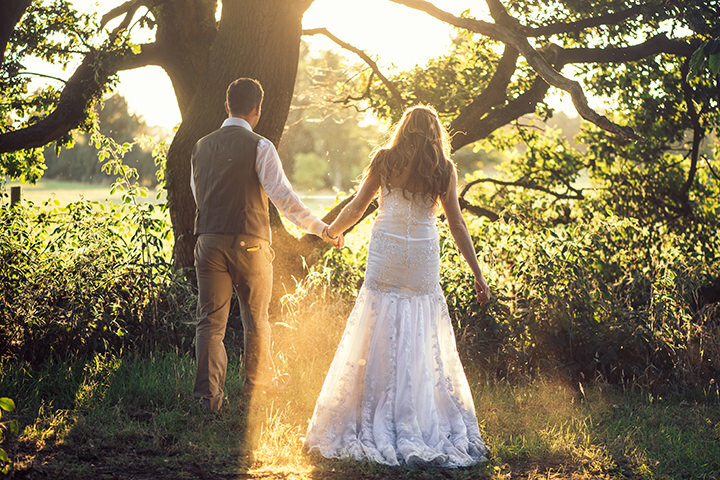 As the sun began to set we headed off into the woodland and then to the cornfields where we captured some beautifully warm images in the fading sunlight. 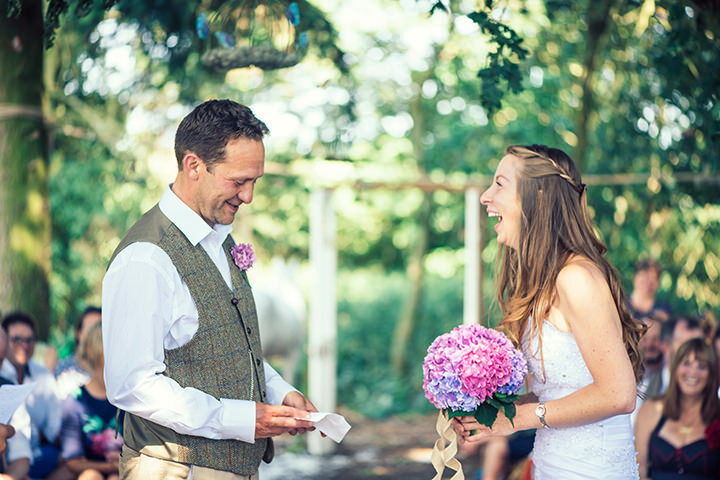 I love this moment during a wedding day as it gives the couple the opportunity to have some quality time and be themselves whilst no one (other than me behind the camera) is around. 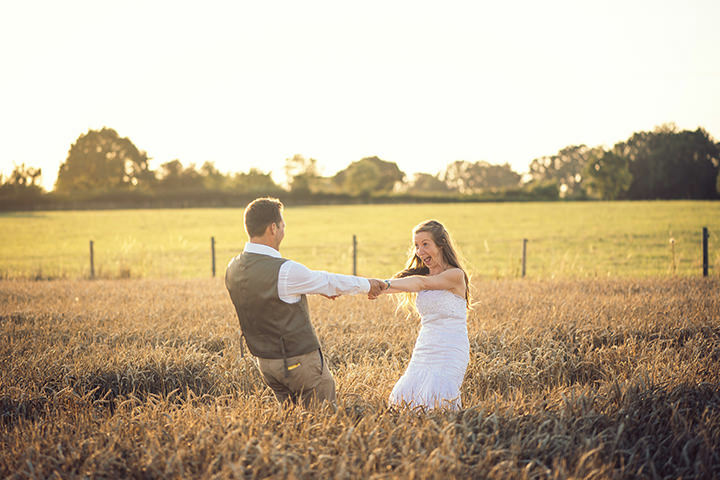 This was when Carl & Beth truly let their love and personalities shine, racing through the corn and dancing in the last few minutes of daylight. 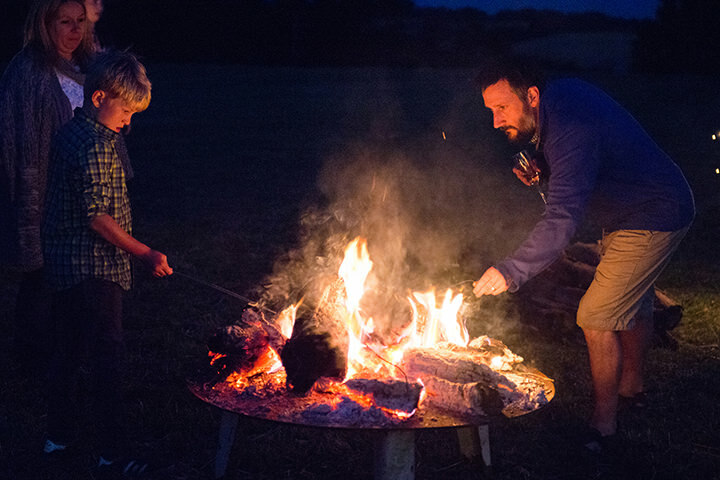 As the day turned into night, sparklers, fireworks and toasted marshmallows kept everyone entertained. 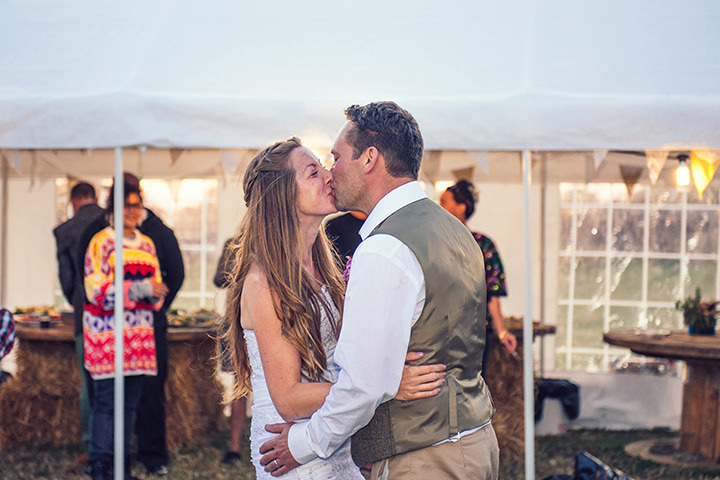 A band playing and couples dancing around the roaring campfire, the perfect way to end a perfect day.